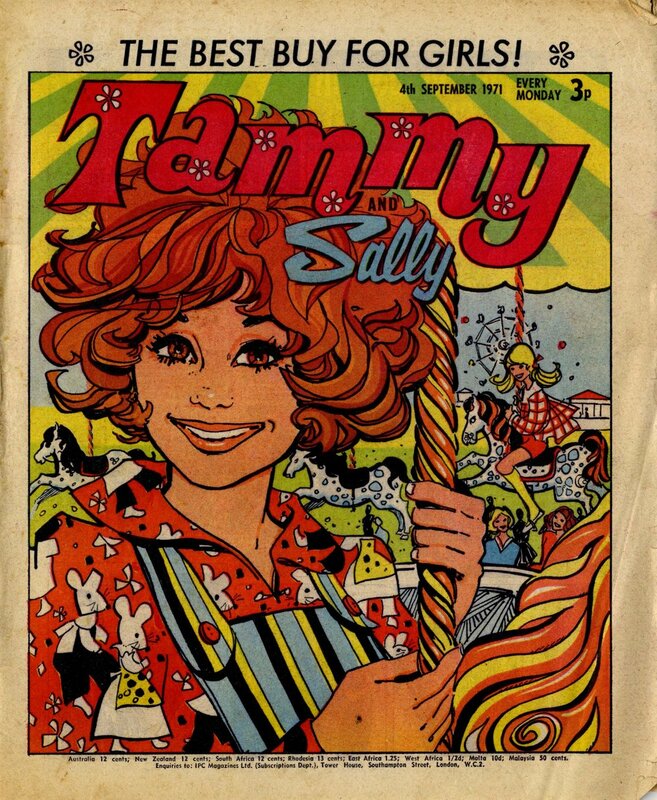 While John Richardson (whose work I featured earlier in this series) is probably most closely associated with Tammy front covers, before his time the comic commissioned a handful of artists to produce some very stylish portrait-style illustrations. I think the work of one of these artists – who produced most of the covers between the summers of 1971 and 1972 – is particularly outstanding. 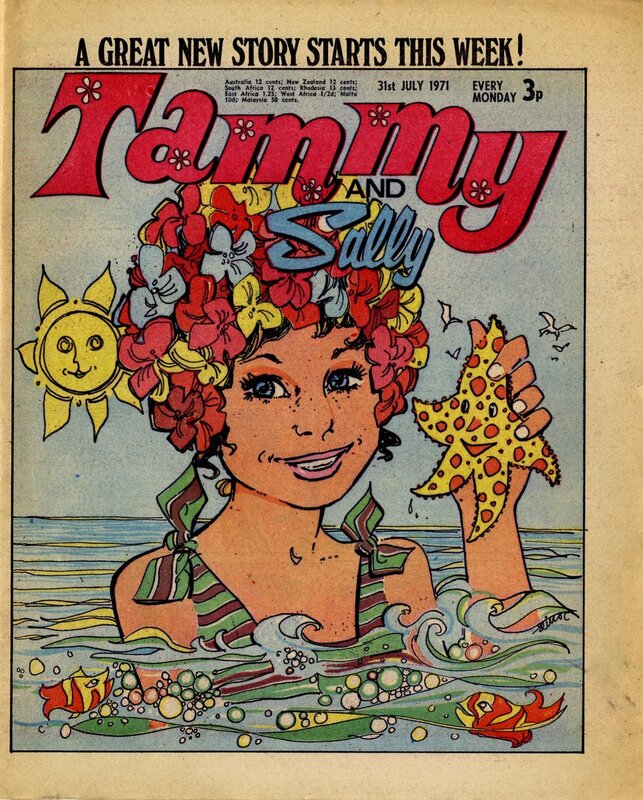 I love the colours and the patterns on these portraits, which are very ‘early 1970s’ in tone, and must have given Tammy an especially chic appeal to its young readers of the day. The eyes on each of the girls featured are really striking, and ‘connect’ with the reader just as effectively as, say, the eyes of Shirley Bellwood’s Mistys. Sadly, I don’t know the name of this artist. I sought help from David Roach, who is something of an expert on the girls’ comics artists of this period, but he wasn’t able to make a firm identification either. If anybody does know, I’d love to hear from you so I can give the artist the full credit they deserve. Signatures were extremely rare in the early 1970s – I did think there might be one just beneath one of the waves close to the bottom right corner of the issue dated 31 July 1971 – but, as David pointed out to me, this is actually (and mysteriously) the word ‘comics’ written backwards. I'll do a covers gallery of more from this artist soon, if others seem to like them as much as I do. Let me know!